Sometimes I really want to challenge myself, and Aquarius’s mermaid tail sounded like the perfect task! 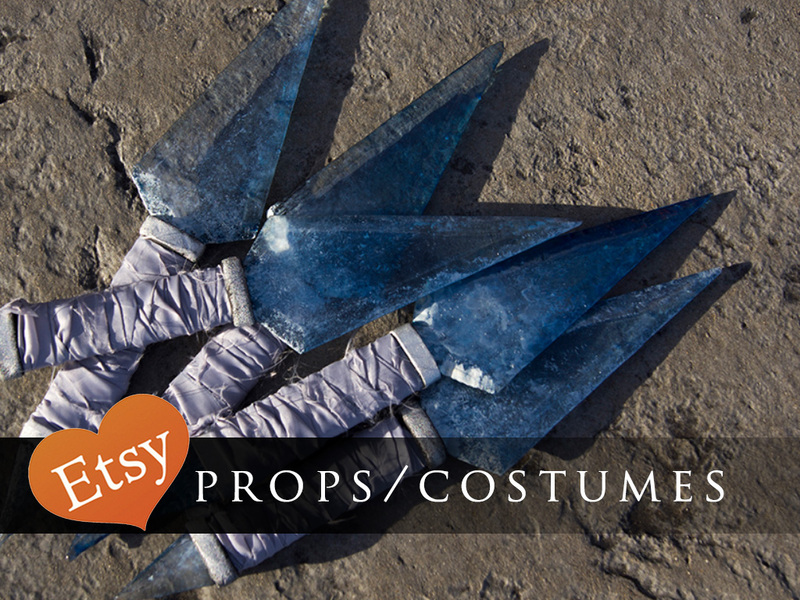 Making a mermaid tail was uncharted territory, so I was excited to learn and finish this costume for Colossalcon 2016! Aquarius’s tail was the most challenging part. Made the tail body using a shiny blue vinyl and the fin using white and light blue spandex and mesh fabrics. The fin itself started as a mono fin, but I wasn’t happy with the shape, so I ended up cutting the fin off of the foot bed and making my own fin using plexiglass and hot gluing it in place of the old fin. It wasn’t the most graceful way to make a fin, and it was no longer swimmable after my modifications, but it worked for my purposes! The rest of the costume was made with Worbla, craft foam, and other materials.